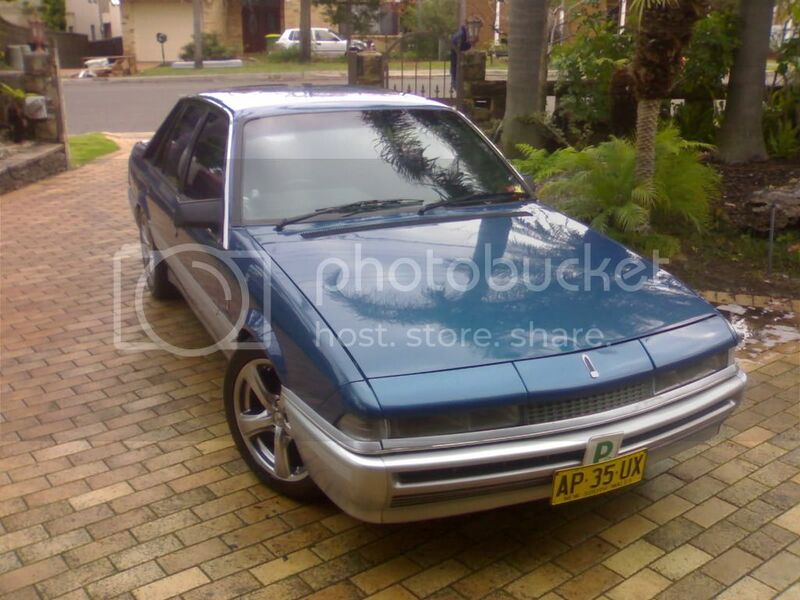 Its a original 88 s2, marlin blue with blue/grey interior. Has been converted to manual, 33 box from memory. Rb30 N/A with lumpy cam, 2.5 inch exhaust, CAI, XF throttle body. Car is making 129.5kwatw (approx 5 years ago)! The car is currently half ripped apart, In the midst of pulling out interior and repairing rust to the boot and window section. Motor and gearbox will be pulled out, new clutch will be fitted. Everything will be cleaned and degreased (Including under car). Whilst motor is out, I will tidy up the intake ports and blueprint/match intake ports to inlet manifold. Finish car, put back together nice and schmick! New Exhaust, much better than the POS on it atm. Improve on the 129.5kwatw - Aiming for 150kwatw with pure N/A power! Not going to put a turbo on it, 20k later and forget it!!! Not going down the rb25 option either, I would of bought a riceline if that were the case. Time period of 3-6 months, will be cruising the streets by summer. this steigers old Calais??? i thought this was a write off.. Car was sold on from Skywalker to another mate of mine. He got it in a smash, not a write off. Front rad support is gone, rails are slightly bent on the sides that the front reo bolts to (this is the impact area, the left side took the hit). I have spoken to the panel beater/smash repairer today and he has inspected the car. Good news is that it can be fixed, cost wise should be alright, just gotta take my time, do all the work I can to save the $$$ and make the smash repair dudes life easier. Rear window sill is rooted (If anyone has one, send me a pm), will be replaced and sprayed. Front pillars will get the going over and treatment for any holes or rust. I'm not going to respray the full car, as it will turn into a 24 month thing, will respray the roof and touch up some small areas around the car. Maybe in a couple of years when I get the time, I'll respray the car. Currently got 3 other cars which all need work/finishing. The car currently is being taken apart. Pulled out the seats, removed the carpet, cleaned up the boot, and removed most of the front end. The whole inside cabin and outside of the car/ under carriage will be cleaned/degreased/ detailed and painted... Pretty much going to restore the ****er ready for full respray down the track, and try and crack 13's down the 1/4 out of a N/A vl. If anyone knows of this car, and the madness behind it, they know there was once a madman behind the wheel of this car, capable of doing some crazy ****. I'll keep y'all posted with some updates/pictures.